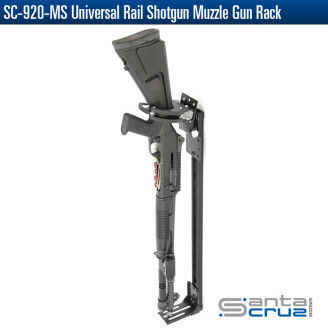 NOTE: Santa Cruz Gunlocks, LLC (SCG) gun racks and gunlocks are intended for temporary, secure storage of firearms. They are not substitutes for a permanent storage enclosure and only act as limited theft deterrents. And they will not prevent accidental discharge/firing of a chambered round.